8 heavyweights and 8 female featherweights from around the world come to Las Vegas to compete in the first-ever tournament between the biggest fighters in MMA. TUF Smashes winner and current UFC middleweight champion Robert Whittaker, and TUF 17 winner Kelvin Gastelum take the helm as coaches, and the competition kicks off with the first preliminary matchup. On this season of The Ultimate Fighter, every competitor is undefeated. Eight featherweights and eight lightweights from around the world will enter the competition, but who will remain unbeaten and win the UFC contracts? 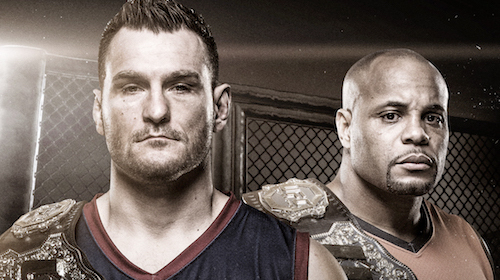 UFC light heavyweight champion Daniel Cormier and UFC heavyweight champion Stipe Miocic take the helm as coaches. 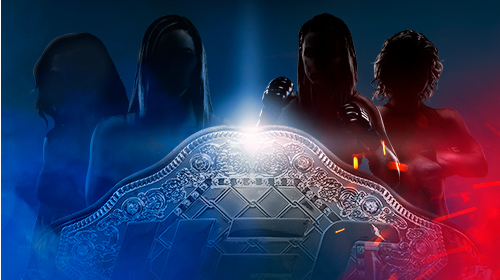 The Ultimate Fighter will launch the new UFC women’s flyweight division, as 16 of the most talented 125-pounders in the world come to Las Vegas to compete in a tournament, with the winner being crowned the first UFC women’s flyweight champion. Sixteen flyweight champions from around the world come to Las Vegas to compete for the ultimate prize: a title shot at current UFC champion Demetrious “Mighty Mouse” Johnson. They'll train under top UFC flyweight contenders Henry Cejudo and Joseph Benavidez. 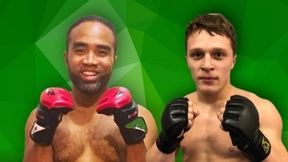 The winner earns a UFC contract, a Harley-Davidson motorcycle, and will fight Demetrious on the live finale. In the twenty-first season of The Ultimate Fighter, two gyms battle it out in the octagon to settle the score in their bitter rivalry and decide, once and for all, which team reigns in South Florida. 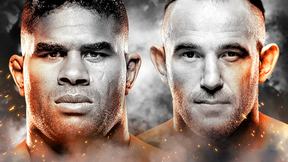 For the first time ever, The Ultimate Fighter competition will determine a champion. In a groundbreaking new season, 16 of the top 115-pound female fighters in the world will be hand-picked to form a new women's strawweight division in the UFC. The fighters will live together in the house, train under coaches Gilbert Melendez and current lightweight champion Anthony Pettis, and battle it out in a tournament-style bracket. In the end only one woman will be crowned champion, and earn the first-ever UFC strawweight belt. Women will compete on The Ultimate Fighter for the first time, as eight female and male bantamweights battle for 2 six-figure UFC contracts. UFC Champion Ronda Rousey coaches against rival, Miesha Tate, in one of the most bitter coaching match ups ever. Coaches Chael Sonnen and UFC light heavyweight champion Jon "Bones" Jones guide 14 promising middleweights through a brutal competition of skill and determination. At stake is a custom-built Harley Davidson motorcycle, a six-figure UFC contract, and the right to be called "The Ultimate Fighter." Thirty-two of the most talented unsigned mixed martial artists in the world fight for 16 coveted spots in the TUF® house to live and train under coaches Shane Carwin and Roy Nelson to become the next Ultimate Fighter®. The series evolves. The season is live. Sixteen fighters coached by two bitter rivals battle live for the ultimate prize. 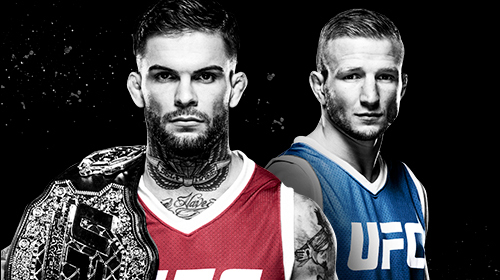 Who will be the next Ultimate Fighter®? 16 Bantamweights and 16 Featherweights will be looking to capture Six-Figure Contracts with the UFC after fighting their way to the top in the Octagon and living in The Ultimate Fighter house. From San Diego, CA to New Orleans, LA, to Dusseldorf, Germany, the 14 fighters have all gathered in Las Vegas with one goal – to become the next “The Ultimate Fighter.” During the ten episode run of the show, under the tutelage of coaches Lesnar and dos Santos, the competitors endure a grueling regimen of jiu-jitsu, judo, Muay Thai, karate, boxing and wrestling. The intense competition among the fighters continues after they leave the gym – at the Ultimate Fighter House. These warriors must live together, knowing that any day they might be forced to fight each other in the famed UFC Octagon™. Literally the biggest season ever! The Ultimate Fighter: Heavyweights will showcase 16 of the best unsigned heavyweight MMA fighters in the world. Featuring former UFC light heavyweight champions Rashad Evans and Quinton Jackson as coaches. Follow the cast of notable athletes with impressive pedigrees including four former NFL players, UFC veterans, a former IFL heavyweight champ, and a highly-publicized former EliteXC fighter who gained prominence through his non-sanctioned bouts on YouTube. For the first time ever, The Ultimate Fighter will be country vs. country as the United States takes on the United Kingdom. Dana White travels to England to watch 16 of Great Britain's toughest welterweights and lightweights fight their way onto coach Michael Bisping's UK Team. 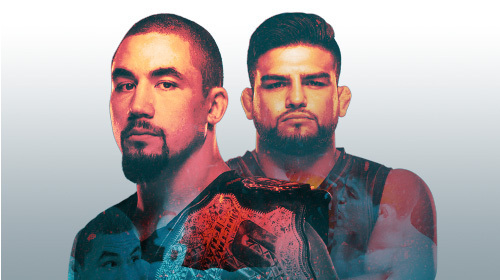 The eighth season of The Ultimate Fighter® features Interim UFC® Heavyweight Champion Minotauro Nogeira and former UFC® Heavyweight Champion Frank Mir as coaches to 16 fighters competing for the chance to show they belong in the Octagon™. Watch episodes from The Ultimate Fighter® season 7 featuring Quinton Rampage Jackson and Forrest Griffin. Watch episodes of season 6 of The Ultimate Fighter Team Hughes vs. Team Serra. Watch episodes from the first season of the reality TV series The Ultimate Fighter®.